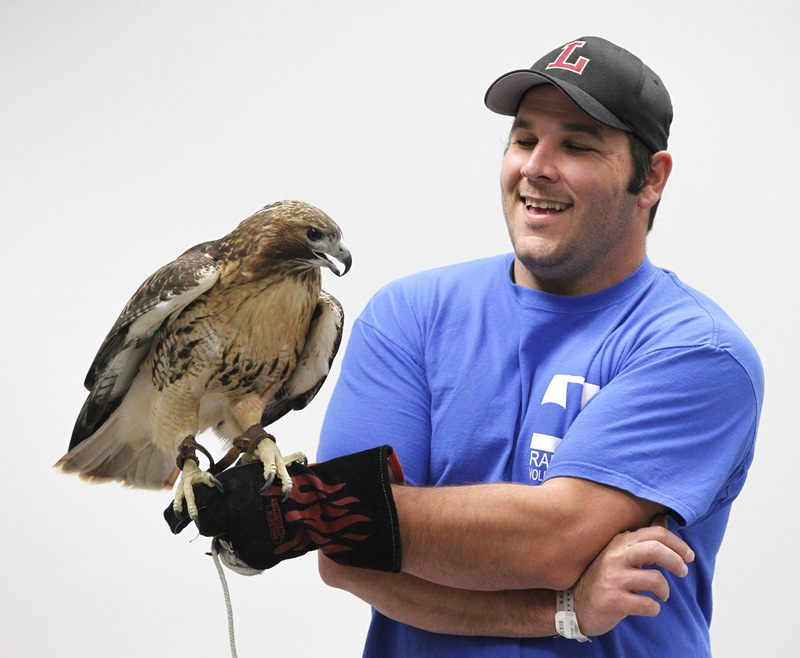 Our friend from Raptor, Inc., Dan Gallagher, and a red-tailed hawk at last year's event. He obviously loves his job! Join us Saturday, April 20, for an opportunity for children to get up close and personal with some of our feathered friends – raptors. Children and their adult companions will learn about the important role raptors such as owls, hawks, and vultures play in our ecosystem and personally meet raptors. The program is a partnership between the Lytle Creek League of Conservators/No Child Left Indoors volunteers and Raptor, Inc. Registration is required and space is limited, so please register early HERE or by calling Lori Williams (937) 725-3811. Parents or other responsible adult must accompany children for the Earth Day program.